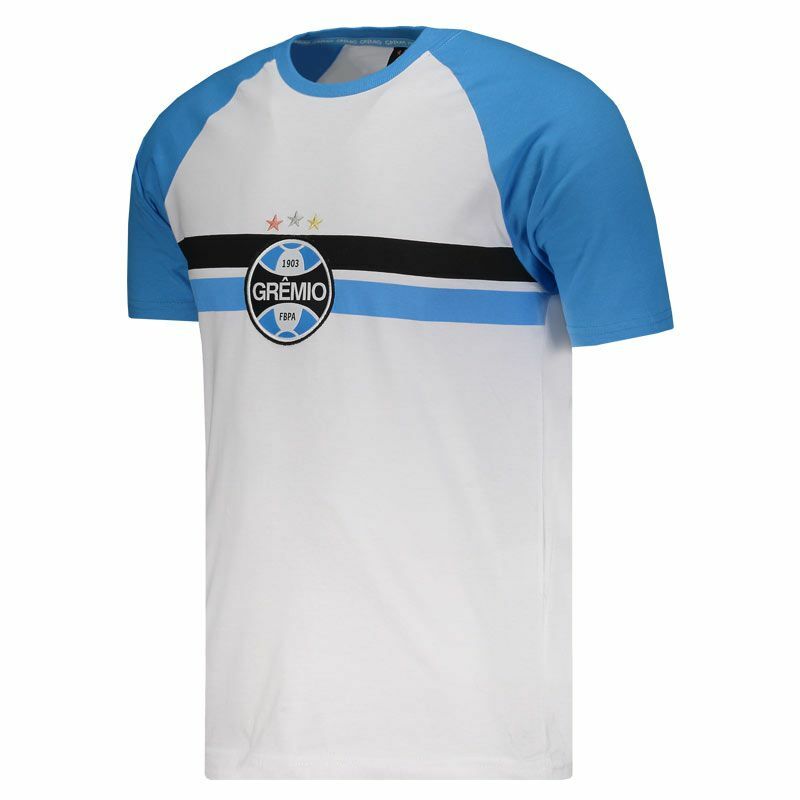 Perfect for the passionate fans to show their love with great comfort, the Grêmio Raglan T-Shirt is the right request. Made of pure cotton fibers, the piece brings soft and comfortable fabric with maximum styling. More info. 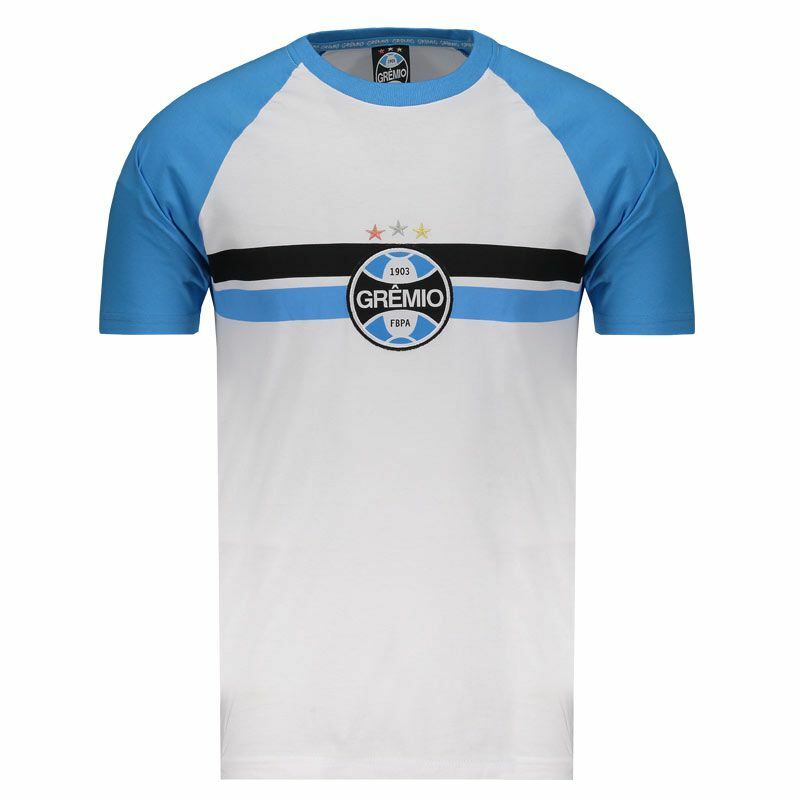 Perfect for the passionate fans to show their love with great comfort, the Grêmio Raglan T-Shirt is the right request. Made of pure cotton fibers, the piece brings soft and comfortable fabric with maximum styling, in addition to excellent body trim. 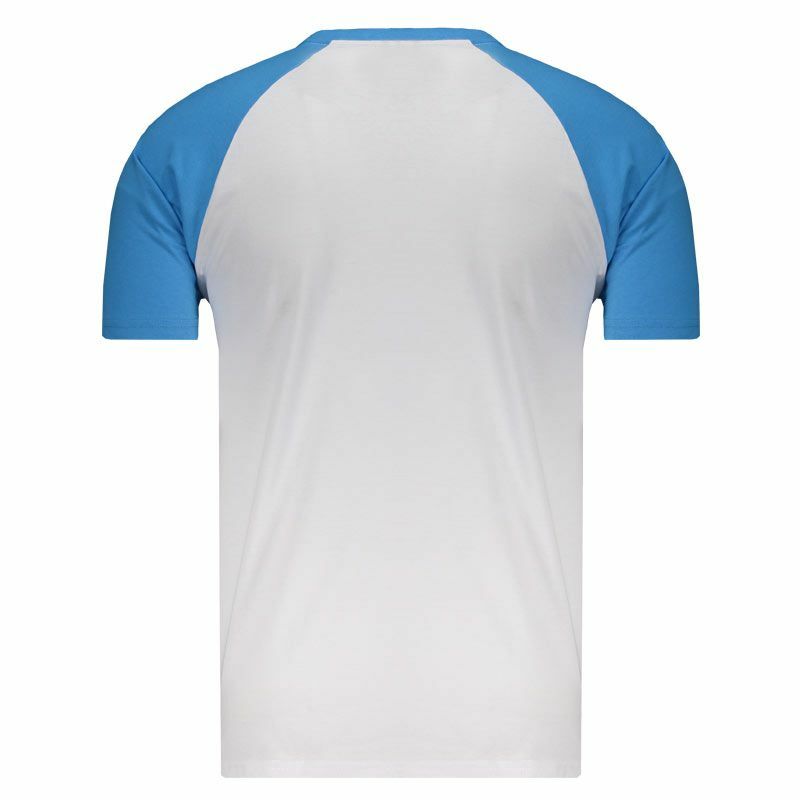 Its design is predominantly white and brings clipping in light blue seen on the sleeves and collar. In addition, the team badge comes embroidered and highlights in the chest. 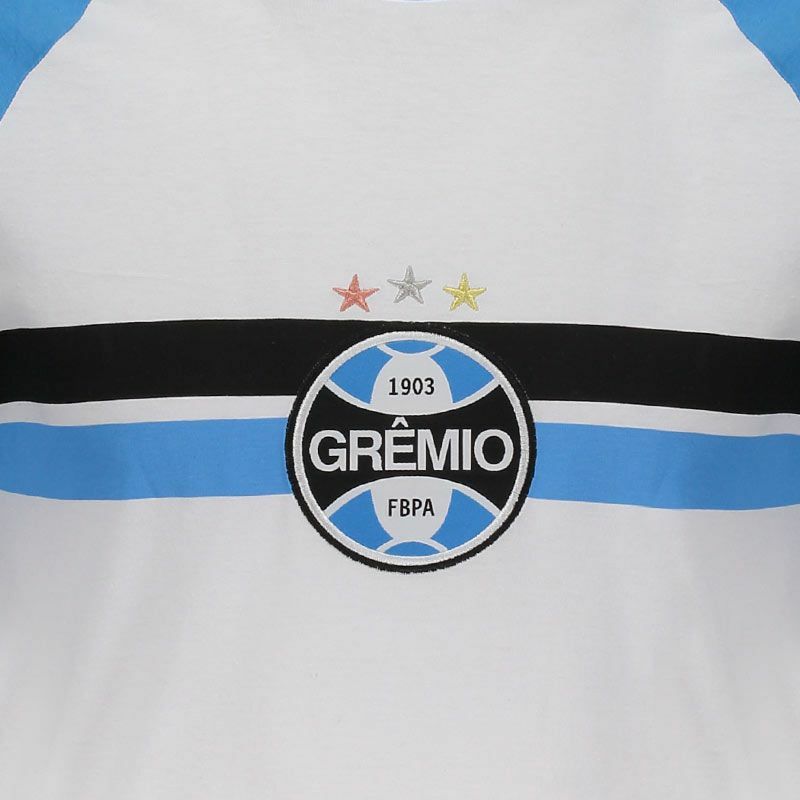 Finally, the club colors appear in horizontal stripes in the front region. Get yours now!